Addsource.com has helped us tremendously with Ad tracking and managing all of our tracking numbers. We are able to see how many phone calls we are receiving per phone number and can even sort them through many options to narrow down exactly what you may be looking for. It also has recordings of the calls so that we can use them for training purposes. It has been very beneficial to us since we have used it. The few dislikes we have are the time frames for when we received the calls is on Pacific Time vs. Eastern Time, so it may make it a bit more difficult to narrow down something if we are looking for a specific time. It tells us what town the call's phone number came from but it would be great if it would also show us the zip code too. It is very simple and easy to use and their support is always there if you need any help. We have used this source for Ad tracking and it has helped tremendously. 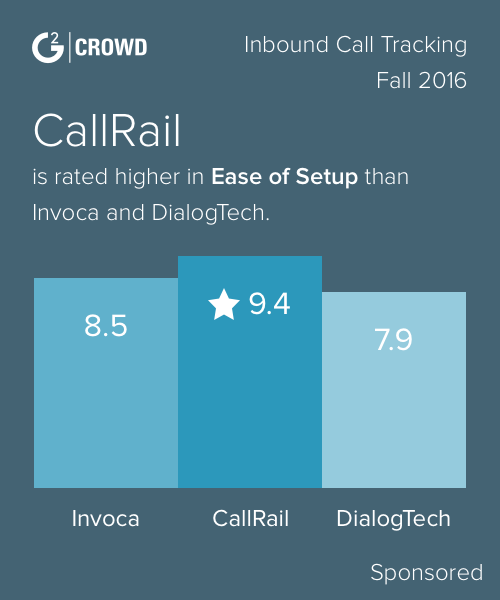 "Finally, An Easy Call Tracking Solution!" Very easy to setup and use. We love the ability to to listen to past phone calls and being able to email recorded calls to reps! Very cost effective and easy to use "right out of the box"! We are are able to better track leads by assigning specific phone numbers to different marketing tactics. * We monitor all AddSource reviews to prevent fraudulent reviews and keep review quality high. We do not post reviews by company employees or direct competitors. Validated reviews require the user to submit a screenshot of the product containing their user ID, in order to verify a user is an actual user of the product.